The jacket M-65 BRITANNIA with a hood concealed in the stand-up collar, zipper and a strip of snaps. In the style of Vintage. Dedicated to all lovers of military and outdoor acctivities. Appreciated by active and energetic people. Its classic cut provides a great presence and military specification increases the functionality and practicality. Because the jacket has double stitching and a sturdy weave of cotton fibers, it can be used even for many seasons. BRITANNIA model is equipped with elongated cuffs with snaps and special vents that work well during intense exercise, such as while hiking in the low mountains or playing paintball. This arrangement in combination with a breathable lining allows the body to dissipate the excess heat and water vapor, ensuring optimum comfort. 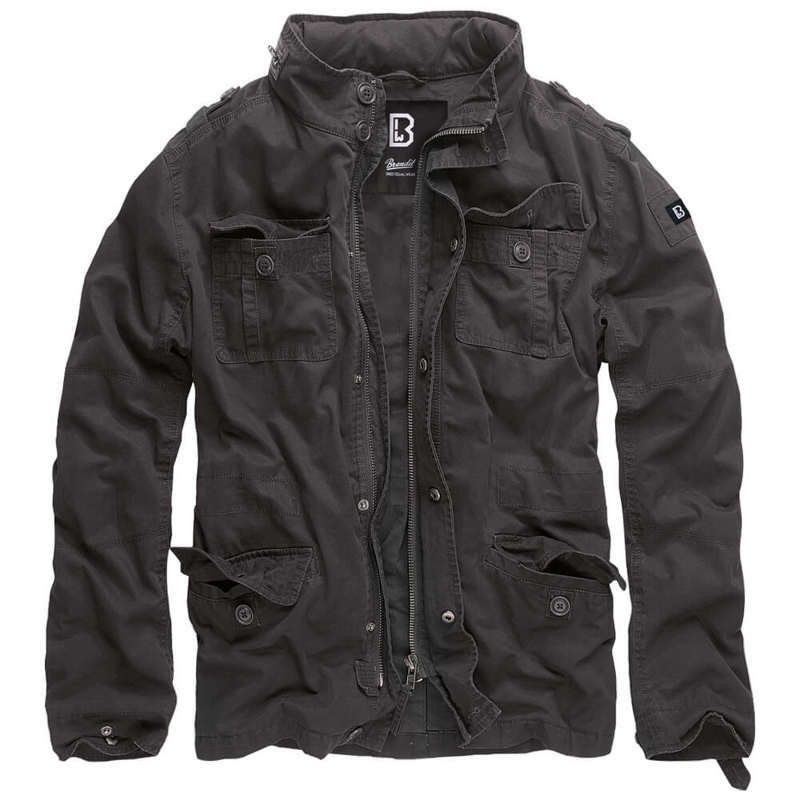 The jacket M-65 features a total of 5 pockets (1 internal and 4 external fastened by flap on buttons). This quantity of pockets allows you to take the necessary equipment needed during the trip, such as phone, GPS, documents or multitool. Great range of colour and print variations. Good price as well. I bought this jacket for my husband's birthday. He absolutely loved it.